If you are a photographer or horse owner who charges a fee for people to take pictures on your horses, you need to have horse insurance. Whether these people are standing next to or sitting on your horses at corporate events, fairs, rodeos, pony rides, or horse shows, they can be injured if the horse is startled. Even though the risk of this type of horse business is moderate, there is a broad spectrum of things that could go wrong. Protect your business by having the right insurance coverage. Higher exposure photography situations may or may not be insurable, and must be reviewed on a case by case basis. Others types may be animal handling services for movies, photo and video shoots to the advertising and movie industries. These services are usually insured by the job on a short-term basis, because each contract for this work is unique as are the risks at the locations. Use of firearms on the set, stunts, inexperienced models and actors riding and handling horses, use of wild animals on set, and other high risk or high-stress circumstances could make the exposure uninsurable under our program. As a photo prop services provider, you worry that you may be sued or otherwise have a claim made against you for bodily injury or property damage by a customer, guest or someone else who comes in contact with you or the property that is part of your commercial horse operation. If sued, you will need to hire a lawyer to defend you and you wonder how you would go about doing this. If found negligent or responsible, you would likely have to pay for either a court-ordered or agreed-upon settlement to the injured party. Fortunately, much concern can be relieved when you buy a Commercial General Liability Policy [GL] to insure your activities. Commercial General Liability Insurance protects you from financial loss should a customer, visitor, or a trespasser become injured [Bodily Injury] or their property is damaged [Property Damage] in relation to your operations, and they make a claim or file a law suit against you for damages. How Risky Are Equine Photo Prop Services? Moderate. The risks of this activity depend upon the control and supervision on location, its containment and barriers to keep the general public away from the horse, and the good nature and even the height of the horse used. Horse activities are reasonably safe compared to many other activities people participate in. Yet, horse-human activities do carry inherent risks. Accidents do happen when people at different stages of capability attempt to touch, handle, train, ride, drive and control large animals that are unpredictable even when well trained. And some horse-human accidents are serious. Even with the best of intentions and management practices anyone can have a claim made against them and be sued. Related Coverages To Consider: If you rent the property your business occupies, we can also insure your tack, equipment, and machinery for loss or damage. As a stable property renter, you may not have access to property insurance for tack, equipment and machinery you use in your business. Ark Agency can insure these items by adding a Property Coverage Endorsement to the General Liability Policy. Additional premium is charged for this endorsement and the items and values must be declared in the application process. Medical Expense: Pays for a claimant’s low-cost medical expense with few questions asked about your liability or responsibility in the matter. Negligence need not be a factor to “trigger” payment. Legal Defense Costs: Today court costs and hiring of a lawyer can quickly mount to $50,000 or more, an expense you do not want to come out of your pocket if you are sued and have to hire a lawyer. If sued in relation to the insured activity, the policy provides legal defense whether the case has merit or not. Claim / Settlement Costs: Pays bodily injury and property damage claims for which you are held responsible. A customer becomes scared while on a photo prop horse and jump off and become injured. A bystander child or adult approaches the horse without supervision and the horse bites, nudges, or kicks at them. A professional model or actor is injured when handling a horse and cannot perform their professional duties during recovery from the injury. A horse gets loose and causes property damage to nearby vehicles, lawns or gardens. Let Ark Agency handle all of your equine liability insurance needs because we can tailor a policy to ensure you have the ideal coverage for your horse business. You can never be too prepared when working with horses, even if the animals are well trained. Speak with one of our representatives by calling 1-800-328-8894 right now. 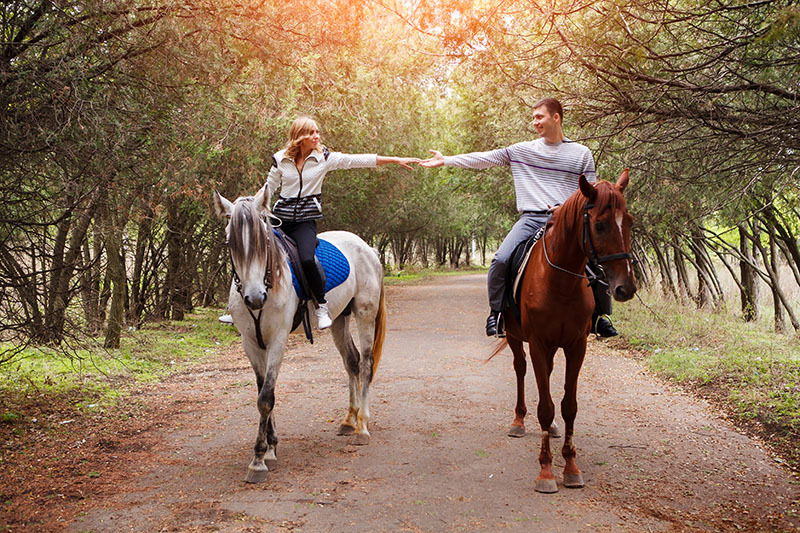 We can even give you a customized horse insurance quote for different coverages.